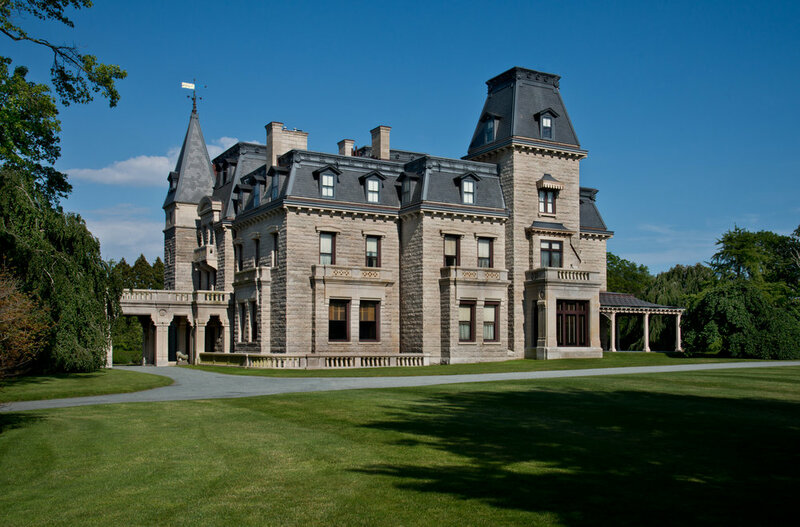 Which Newport Mansion “Gave Henry James Hope”? 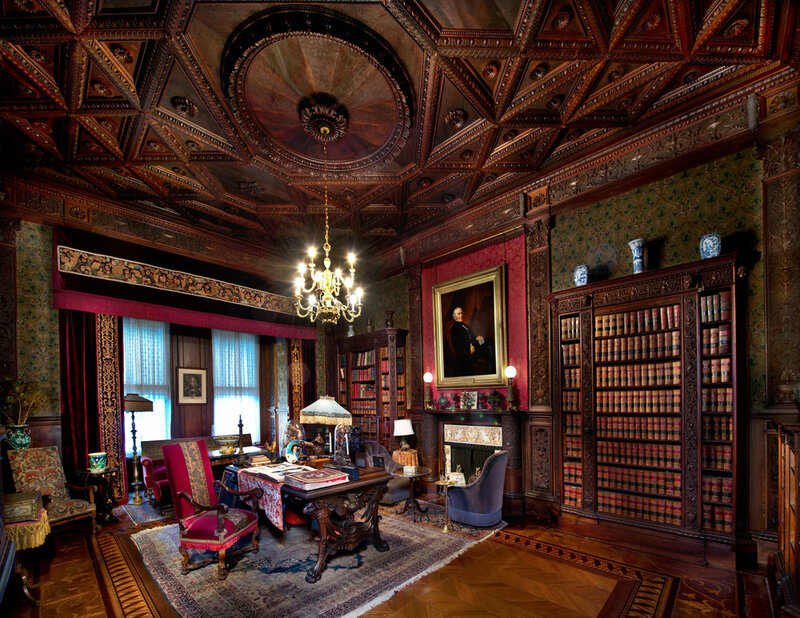 The Breakers and Marble House may win in matters of over-the-top opulence, while the Elms, Rosecliff, and Vernon Castle are routinely heralded for their clean lines and appealing symmetry. But another Newport mansion came to mind when the New York Times referenced the words of Henry James in his 1883 book, Portraits of Places. Indeed, Chateau-sur-Mer “give[s] one some hope of the revival of the architectural art." From its grand architecture down to its hand-carved Italian woodwork and intricately stenciled Egyptian and Japanese Revival wallpaper, Chateau-sur-Mer is a landmark of all things High Victorian. Venture outside, meanwhile, and see rare trees imported from as far away as Mongolia. Built by William Shepard Wetmore as a display of his wealth, Chateau-sur-Mer is also known for its massive walk-in china closet, which housed the China trade merchant’s extensive collection of china. After his death, Chateau-sur-Mer was passed on to his son, George Peabody Wetmore, who -- along with his wife, Edith -- enlisted famed architect Richard Morris Hunt and interior decorator Luigi Frullini to remodel and redecorate the home in the style of Second Empire French while they were off on an extended European vacation. The home later housed a third generation of Wetmores, sisters Edith and Maude, who maintained Chateau-sur-Mer’s glory until their deaths. Today, the mansion -- acquired by Preservation Society of Newport County in 1969 and designated as a National Historic Landmark in 2006 -- is celebrated for its exemplification of one of the 19th century’s most significant design trends. While the Vanderbilt houses eventually overtook Chateau-sur-Mer in terms of elaborateness, they did nothing to diminish its status as the grand dame of Newport mansions. To step back in time to experience the magnificence of Chateau-sur-Mer for yourself, purchase your ticket today.